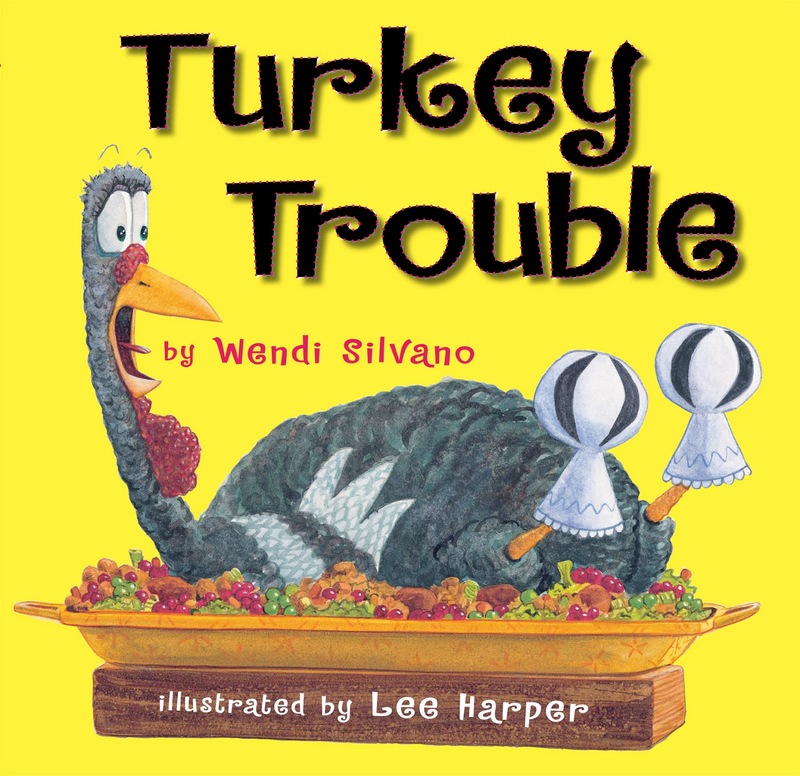 Perfect Picture Book Friday – Turkey Trouble AND Announcing The 3rd Annual Holiday Writing Contest!!! So many great things to share today! First, a Perfect Picture Book just right for this week! Brief Synopsis: In an attempt not to be Thanksgiving dinner, Turkey tries to disguise himself as another animal. After all, “Farmer Jake wouldn’t eat a horse for Thanksgiving…” But for one reason or another, no disguise is quite right. Will Turkey be dinner after all? Links To Resources: Children can think up or draw their own disguises for Turkey. Children can think up what would make a good Thanksgiving dinner besides turkey. Turkey contemplates disguising himself as Rooster and rejects the idea – discuss how are Turkey and Rooster alike? How are they different? Here’s a great Activity Guide recommended by the author, Wendi Silvano. Very fun activity HERE. The Contest: Write a children’s story about a Holiday Mishap, mix-up, miscommunication, mistake, or potential disaster (a la Grandma Got Run Over By A Reindeer :)). Your story may be poetry or prose, silly or serious or sweet, religious or not, based on Christmas, Hanukkah, Kwanzaa or whatever you celebrate, but is not to exceed 350 words (aren’t I being generous?! 🙂 It can be as short as you like, but no more than 350!) Did the dog knock over the Christmas Tree? Did little Johnny’s costume get grape juice all over it moments before the holiday pageant? Did the menorah go missing? Did travel arrangements get snarled or miscommunicated? 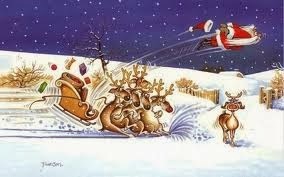 Did Santa’s sleigh have to make an emergency landing? The field is wide open! Have fun! And I’m adding, because so many people have mentioned this, the story does not have to be funny! You can have a holiday mishap that is serious or sweet or mysterious… Please don’t feel that you have to go the humor route! The Judging: My lovely assistant(s) and I will narrow down the entrants to 6-12 finalists (depending on the number of entries) which will be posted here on Monday December 16 for you to vote on for a winner. The vote will be closed on Wednesday December 18 at 5 PM EST and the winners will be announced on Thursday December 19. Whoever gets the most votes will be first and so on down to sixth place. Remember, judging criteria will be kid appeal/friendliness, suitability of mishap, quality of story, and quality of writing. Access to the Submission Station section of the 12 x 12 Forum, which will provide information about that month’s agent or editor and instructions on how to submit to him or her. – A Picture Book Manuscript Critique by Erin Molta Erin is an experienced senior editor of picture book, early readers, chapter, middle grade, and YA books, as well as novelty and licensed titles. She has been in childrens publishing for more than twenty years and has a keen understanding of early reader through YA audiences. She has an excellent reputation with established authors, illustrators, and agents. Awesome contest Susanna! Just what I needed to force me to “step away” from other difficult manuscripts I am revising right now – putting the final touches on my entry!! Can't wait to see what everyone else comes up with as well 🙂 Thank you for the inspiration! I'm so glad if it inspired you, Kristen! And I wish I was putting final touches on my sample, but so far I haven't even had time to think of an idea 🙂 Good luck with the “difficult” mss! Turkey Trouble sounds wonderful. The title alone is enough to get me to the library!!!! finally… a reason to pick up my pen again… sounds a wonderful challenge… already wondering what my character Molly Bunny might get up to…. and worried that I will struggle with the 350 word limit!! – about time to try…. thank you for the opportunity! I love this page – only just found you! I'm so excited, Susanna. You have inspired and challenged me to write a tight story. Can't wait! Your blog is wonderful and always full of amazing information. Thanks! Great! Now to get them both polished and under 350. Question: Do art notes count toward word count? Man, I don't know what it is about this contest! You're the 3rd or 4th person to ask about art notes when it's never come up before! Technically, there shouldn't be art notes… because I didn't put a provision for that in the original rules… A lot of people have written their entries already without art notes, and it won't be fair to them if some people have notes that don't count toward the word count and help them tell a better story… So if possible, I'd say please try not to put art notes in. I will be very clear in the contest rules from now on about art notes! Sorry for any inconvenience! How did I miss this post? As always, another great contest and fab prizes! Off to share…. Thanks Susanna! I completely understand 🙂 I am looking forward to the contest! A Christmas snow was decreed by King Winter. “It must be cold, it must be grand, it must blanket all the land,” he declared. “I can do that!” exclaimed young Jack Frost. He set out to find the merriest land of all to paint with his crystal brush. “Take care where you travel,” said old North Wind. “I will!” promised Jack, and he dove into a strong, winter gale. He flew over mountains and forests and fields. “The mountains are lonely and forests too green; the prairies too flat for my work to be seen!” Jack rode away on a strong, gusty breeze. “There is no perfect place!” Jack cried. Jack thought about Christmas and the joy that it brings. A Christmas surprise could be just the right thing. Together they flew through the clouds and the air until Jack finally stopped. Old North Wind looked. “I don’t usually work HERE,” he said. “Nevertheless, that’s what I want,” said Jack. Below was a beach with a colorful boardwalk. Merry lights dangled from coconut trees and a salt-bitten breeze ruffled the air. Old North Wind rumbled and grumbled. “It will be a Christmas surprise!” Jack’s smiling face pleaded his case. Old North Wind took a deep breath and blew. Jack’s crystal brush turned the rain into snow and painted the rooftops with a luminous glow. “Snow in the south!” the people exclaimed. “We haven’t seen snow since I was a small boy,” said an elderly grandpa, his face marked with joy. The crispy white flakes found the children below and many of them tasted their very first snow.